I received a complimentary bottle of Apothecary Extracts Tea Tree Oil. However, the opinions and the Cold Care Bath Soak recipe are mine. As I write this, I am feeling pretty miserable. I’ve been battling a cold for the last week. Just when I thought I kicked it, it rears its ugly head yet again. When I’m feeling miserable like this, I like to take a soothing bath. 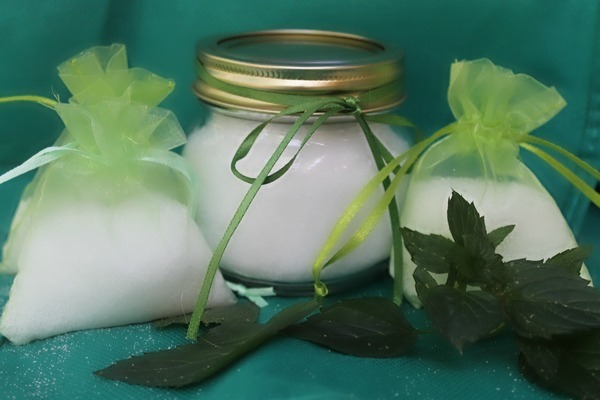 When my Apothecary Extracts Tea Tree Oil arrived, I knew just what I wanted to do with it: mix it with some epsom salts and a bit of peppermint oil to create the most soothing cold care bath soak recipe imaginable. I may not be much of a cook, but I can mix up bath soak recipes like a champ! Ball jar, plastic bag or any other clean container. I like the Ball jars because they’re already sterilized. I keep calling them “Bell Jars” though, apparently I read too much Sylvia Plath as a teen. That’s pretty much it! I put some in my little Ball Jar and some in cute little bags to give to friends when they’re sick. Now, I went a little heavy on the essentials oils because I wanted it to be powerful. This stuff is amazing when you have a stuffy head! Why Apothecary Extracts Tea Tree Oil? 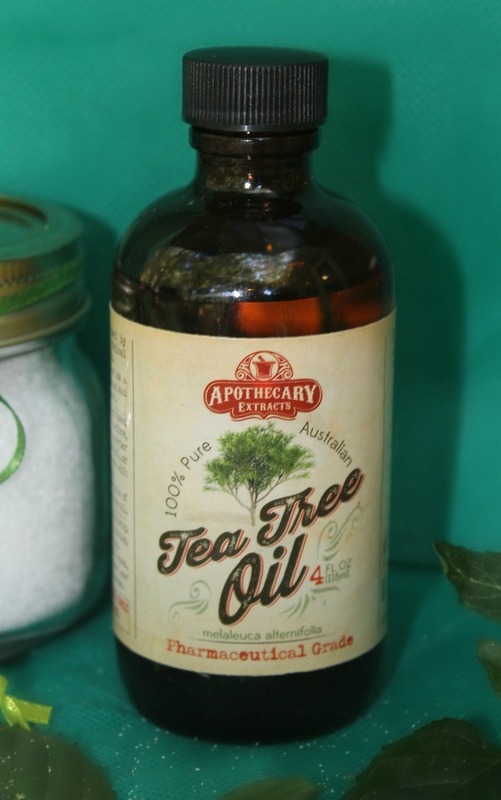 Why do I recommend Apothecary Extracts Tea Tree Oil in this recipe? Aside from the fact that they sent me a bottle to try out, I mean? Basically, this is the best tea tree oil I’ve ever used (and I’ve used a ton of essential oils in my life). Unlike many essential oil products, Apothecary Extracts offers uncut tea tree oil. They’ll even show you the proof! Many other places cut their essential oils with other carrier oils, so you basically end up with a few drops of the actual EO and a bottle of carrier. While that is all fine and dandy if you want to use it as a perfume, it’s useless in actual bath recipes. It’s sourced from an award-winning Australian tea tree plantation that has the smallest carbon footprint of any other tea tree oil producer. It comes in a dark bottle to protect the integrity of the oil (this is a must, never purchase essential oils in clear vials unless you want them to lose potency pretty fast). Plus, your purchase comes with a fantastic book filled with 50+ tea tree oil recipes for everything from skin care to household cleaning. Aside from using in bath soak recipes, Apothecary Extracts Tea Tree Oil has like a zillion other purposes. Well, maybe not a zillion, but a ton! Tea tree oil is one of the only oils that you can apply “neat,” meaning directly to your skin without a carrier oil. While you still have to be careful when you do this (do a skin test first, don’t go overboard), it makes it handy for all sorts of skin conditions, including acne, athletes foot and even dandruff (when added to shampoo, it’s too strong to use neat on your scalp). I have a condition called tinea versicolor that results in brown patches on my skin- mainly on my chest area. The medical treatments for this condition often involve horrific anti-fungal medicines. It’s not contagious and it’s not dangerous, I just don’t like the way it looks. I’ve been using my Apothecary Extracts Tea Tree Oil on it pretty much every day. It was cleared up in three days, now I’m just using it to keep it at bay. Don’t mistake this for medical advice, I’m just telling you how it worked for me. As I said, this is the best tea tree oil I’ve ever used, and I’m not just saying that because I’m writing a review for them. I wouldn’t lie to you. A nice, big 4-oz bottle costs $24.99 and will last you a long time. Even with as much as I’ve been using it in the last week, the bottle is still filled a good half-inch above the top of the label. Get it on Amazon and start discovering the amazing benefits of Apothecary Extracts Tea Tree Oil. I am definitely going to give this a shot. It’s easy enough to make and if it helps, I am all for it. 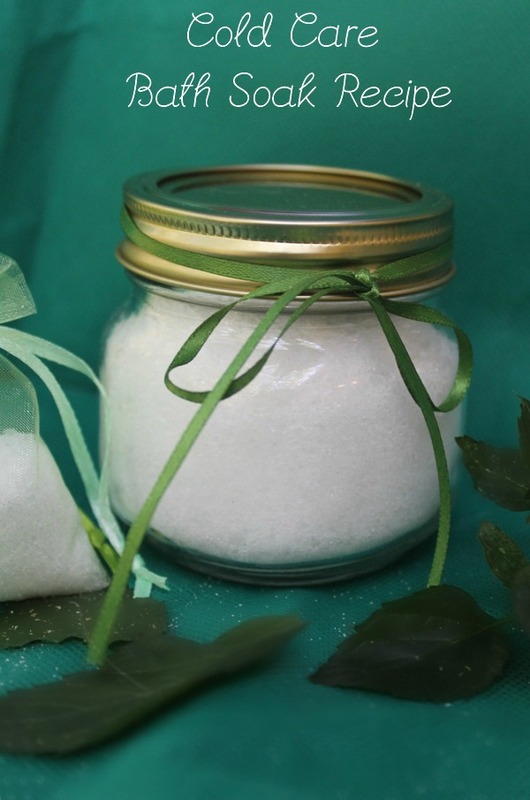 I love making my own bath soak salts, I have not tried peppermint and tea tree oils together. I will have to give that a try, it could really help me right now. I always hear about these oils and never really knew what other uses they had. This is cool. Would make a nice Christmas present. What a great natural remedy for a cold. I am going to try this next time I catch one. I am seeing so many uses for tea tree oil lately. This sounds like a great bath soak. I love that it comes with other ways you can use it. I wasn’t familiar with this until now, so thanks! This is the perfect use for that box of epsom salts I bought. Thank you! Oh wow, this would be great for some of my family members with sensitive and dry skin. What a wonderful idea! I’ll have to add some to my soak next time. I had no idea of all the benefits of tea tree oil. Will definitely try this one next time I have a cold. Thanks for the bath salt recipe. I haven’t taken a bath in a long time, but am in desperate need of one. This sounds amazing! I love tea tree oils, and this brand is definitely one of my favorites. I have it at home and I’m looking forward to trying out your recipe for my next bath. Tea tree oil is very useful! We use it often here. I am pinning this DIY because I feel crappy this week actually. Thank you so much for pinning! It’s such an easy recipe to make. Took me like five minutes. Great idea! I need to make some as well. i’ll have to try your recipe out next week. Sounds super relaxing. I’d love to try to make my own! I love peppermint EO when I have a cold or sinus issues. It is like magic! This sounds like a great idea when you are feeling down with a cold. This is a great recipe because I could really use a soak in the tub right now. It has been a rough week and my whole body hurts. Aw, I hope you are feeling better this week! I’ve been looking for a good tea tree oil and I think I’ve found what I’ve been looking for with this! I can’t wait to use it! It’s definitely the best I’ve ever used. I highly recommend it. This sounds like it would feel amazing when you feel dragged out. I bet it would be great for headaches to. Thanks for sharing. Love Tea Tree, Use it for headaches all the time! It’s great for bitter winter sinus headaches too! That is so good to know! I get bad sinus headaches in the winter. In fact, I think I’ve had a sinus infection for like a week now. Or it’s allergies. Hard to tell. I love Tea Tree oil and use it around the house pretty often. Great post! Awesome! I use it mostly for my skin, but I really want to try it in more household recipes. I am slow to the essential oils game, but I see so many great uses for them. I should get moving! They really are fantastic! Tea Tree Oil is so diverse, so if you just get one, that would be it. I’ve not tried to make my own bath salts or anything in that area of my life. I really should. I’m sure I’d feel great and relaxed! Does the peppermint balance out the tea tree scent? I love bath salts and have a few with different oils for when I’m in pain or just want to relax. I know they put tea tree oil in skin care products (and that it works), but I have trouble stomaching the Pine-Sol scent. Maybe the peppermint would take it out of smelling like a cleaning product for me, but no clue. I soo wanna try this and deff will be makeing some for gifts ty for the recipe! Thank you, I made this in mini jars for xmas gifts this year!! I just have one question. How much of the salt would you put into your bath?